The Plantin-Moretus Museum is the only surviving printing workshop and publishing house in the world dating back to the Renaissance and Baroque periods. Situated in Antwerp, one of the three leading cities of early European printing, it is associated with the history of the invention and spread of typography. Its name refers to the greatest printer-publisher of the second half of the 16th century – Christophe Plantin, and his son-in-law, Jan Moretus I. The Plantin-Moretus Museum is a UNESCO World Heritage Site (UNESCO World Heritage List: Plantin-Moretus House-Workshops-Museum Complex). It contains exhaustive evidence of the life and work of what was the most prolific printing and publishing house in Europe in the late 16th century, including: a large collection of old printing equipment, an extensive library, invaluable archives and works of art. It is also home to the oldest printing presses in the world. iGuana was entrusted with various projects to digitize rare, fragile and valuable books in the Plantin-Moretus Museum’s precious collection (first project dating back to over 10 years ago). This also included scanning of the museum’s books for the World Digital Library (WDL is a project of the U.S. Library of Congress carried out with the support of UNESCO). 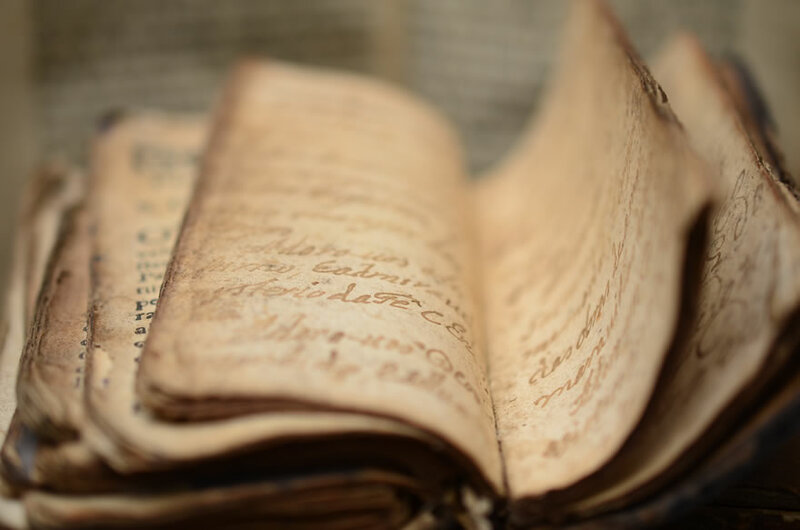 We scanned a wide variety of precious books for the museum, including extremely valuable and fragile originals dating back to the 15th and 16th century. The digitized books can now be easily accessed and consulted by researchers, experts and the general public without the need to disturb the precious originals. Digitizing old books of historical and cultural value is an extremely delicate, manual process which requires special skill and knowledge. Careful handling of fragile originals and preservation-grade image quality are of utmost importance. This is why books in the Plantin-Moretus Museum’s collection were digitized by iGuana ScanFactory experts specialized in digitization of cultural heritage collections and book scanning. Books to be scanned came in a variety of unique shapes and sizes, including very thick and postcard-sized originals. They were digitized using highly specialized book scanning equipment using V-shaped book cradles and state-of-the-art 80-megapixel camera system (80 megapixels are equivalent to 80 million pixels). Specially designed V-shaped cradle, glass plate and pressure control ensured that the books’ very delicate bindings, pages and covers are not affected or damaged in any way. All originals transported to our scanning facility were protected by special acid-free paper and bubble foil. Stored in a secure, fire-proof environment for the duration of the scanning project, they were manually scanned by our specialists. Importantly, our digitization experts never touch books with bare hands and always wear special gloves. All scans were made in an ‘open book’ format with a black border surrounding each image. Beautiful and intricately designed book covers were also photographed. This was done to preserve the look, feel and shape of the original, to make scanned images appear as realistic as possible, and to ensure that no information is lost. These seemingly small details play an important part in all projects concerning digitization of old and valuable books, where conveying the look and feel of the original via a digital image is just as important as image quality. Use of top-of-the-line Phase One camera system in combination with cold light (no UV/IR radiation), setting of colour targets and calibrating equipment in line with the Metamorfoze standard helped guarantee consistent, preservation-grade image quality without affecting the originals in any way. At the end of each scanning project, digital images were delivered, and all scanned books carefully transported back to the museum. We look forward to continued cooperation with the Plantin-Moretus Museum to help preserve the museum’s invaluable book collection in digital memory for generations to come.